It’s the highest civilian honour our country offers. And no one deserves it more. Meeker is receiving the honour in the “Communications” category. Oh, he could communicate, all right. Mostly his ideas and concepts – right into your face on Hockey Night in Canada. Howie is someone I will never, ever forget working with. I don’t remember the first time I met Howie, but it was probably at our annual pre-season HNIC seminar in September 1983. The reason I don’t remember is that Howie was a completely different person away from the rink as he was on-camera. He was not boisterous. He was not loud. He was not in-your-face. He was a wonderfully kind, caring person who seemed to truly love the camaraderie that being part of our HNIC crew provided. When I started producing games on which Howie worked, he was almost three times my age. But, one of the things HNIC’s Ralph Mellanby and John Shannon did correctly with Howie was not try to over-produce him. That means they didn’t try to gadget-up his segments with glitz and fanfare. They just let Howie talk about the game and what he saw. Most of my work with Howie was during the Stanley Cup Playoffs. He would sit in the back of our tape truck and tell the ops which replays to save and in what order he’d want them in the intermission. At the time, I remember a lot of viewers thought Meeker went over the top with his analyses. Too loud. Always criticizing the players. But hockey was something Howie was very passionate about. 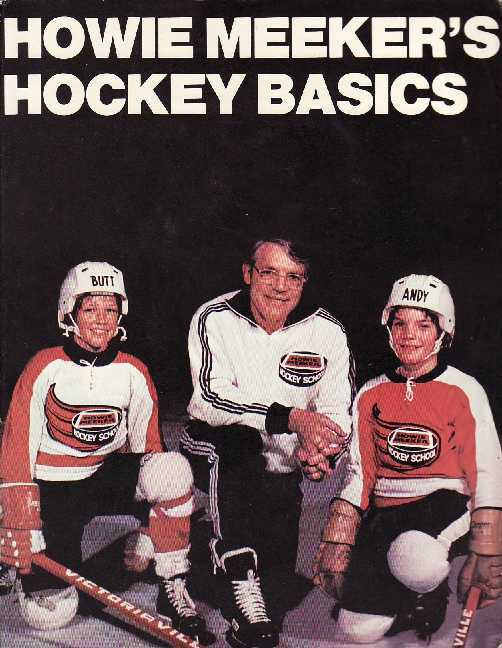 He coached the Toronto Maple Leafs and was the NHL’s rookie-of-the-year. HNIC was the perfect forum for his intensity and educational skills. During the 1986 Flames/Oilers Smythe Division Final (Steve Smith’s own-goal), our ten-person production crew spent two entire weeks together. Dinners together. Meetings, games, driving and flying from Calgary to Edmonton and back. Meeker was with us the whole time, revelling in the personalities. Howie's personality and knowledge made him a perfect teacher. I loved working with him. The way Meeker’s HNIC career ended still bothers me to this day. Without warning, when our 1987 Stanley Cup Playoff assignments were issued, our myopic executive producer excluded Meeker from the show. Howie would be working nowhere. I was producing the Kings/Oilers first-round series. I said, “Look, let Howie work on our show. It is just wrong to not have him on the network.” They gave him to me. Then, Howie Meeker turned and walked away, down the cold concrete at Northlands Coliseum’s lower concourse. 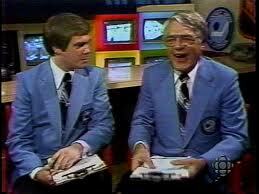 It was the last time he worked on Hockey Night in Canada. 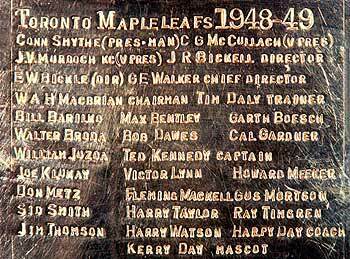 IF ANYONE DESERVES THE ORDER OF CANADA, ITS HOWIE MEEKER BECAUSE HE KNOWS THE GAME, NOT LIKE SOME OF THESE OTHER WANNABEES. GO HOWIE,GO GORDIE YOU GUYS ROCK. LETS GIVE ONE TO PAT QUINN WHILE WE ARE ON THE SUBJECT. BYE FOR NOW AND HAVE A GOOD ONE HOWIE HOWIE HOWIE!!!!!!!!!! !